Despite being an IP junkie, one of my idiosyncracies is that I follow headlines in the world capital markets, thanks to the "Capital Markets Daily Alert" provided by Euromoney, here. You never know what you will find there. Several weeks ago, on March 9th, a report from Dow Jones Newswires drew my attention about Tivo Inc. Tivo is the pioneer developer of advanced VCR products here. The report stated as follows: "TiVo Inc. (TIVO) boosted the size of its planned debt offering to $150 million and said it will carry a 4% coupon as the company seeks proceeds to fund intellectual property litigation and research and development, among other purposes. The company had outlined plans Tuesday to offer $120 million in five-year, convertible senior notes. 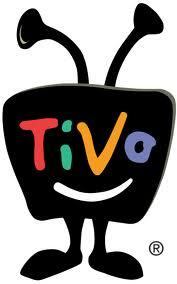 TiVo has filed a slew of patent-infringement suits over its digital-video-recorder technology. It is in the midst of a years-long legal battle with Dish Network Corp. (DISH) and EchoStar Corp. (SATS) and has accused AT&T Inc. (T) of the same patent oversteps that it claims Verizon communications Inc. (VZ) made. Meanwhile, Motorola Mobility Holdings Inc. (MMI) last month filed a suit against TiVo, claiming infringement of its patents for DVRs. Shares closed Tuesday at $8.75 and were inactive premarket. " 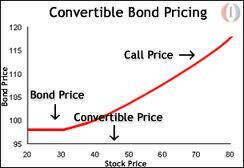 A convertible bond is a hybrid financial instrument that pays its holder a coupon amount but allows the option to convert the bond into company equity at a later date. As such, the holder enjoys the payment of periodic coupon amounts, more or less secure (the interest rate may be lower than a similarly based bond without the conversion feature), but the holder also has the possbility of enjoying equity appreciation, depending upon the future performance of the company. Another report (morningstar.com, dated March 8th), provided further details about the move by TiVo to obtain $150 millon in public funding. According to this report, as part of the risk factors disclosed in its SEC filing, Microsoft filed a complaint with the U.S. International Trade Commission against the company in late January, seeking relief for alleged patent infringement of four patents dealing with on-screen user interfaces. The company stated that under the worst case scenario, should the company lose on the patent claims, its "business would be immediately and materially adversely impacted." Adverse results in the other patent cases in which the company is involved could also have a material harmful affect on the company, according to the report. I have several thoughts about this bond offering from the IP point of view. 1. The report does not further describe whether the SEC filing offered any assessment of the likelihood of any of the patent cases succeeding, but my guess is that there were no such evaluations. When you think about bond rates for Greece hovering around 10%, the 4% coupon seems to be sending a market signal about the level of assesed risk. 2. In any event, as a legal matter matter, when risk factors are involved, while it is a fine line, it is better to paint darker grey rather than a lighter hue, especially when some future plaintiff's attorney combs the filing at a later date looking for any grounds to sue the issuing company. 3. From the creditor's point of view, the investment is a bet on the likelihood that the company will prevail in the patent cases, and that the company will be able to take advantage to increase its bottom line, which itself will be reflected in a higher share price. That said, I am curious how an institutional investor can quantitfy both the likelihood of success in the litigation and the resulting effect on the company's future revenues, all with an eye towards deciding whether or not to loan TiVo the money. 4. The filing stated the funds obtained may also be used for financing sales and marketing expenses, increasing working capital and/or investments and acquisitions. Still, it is assumed that a substantial share of the funds received will be devoted to patent litigation. If this be true, TiVo, especially for its size, would seem to have one of the largest potential outlays for patent litigation anywhere. 5. More generally, one has to wonder if the patent system was intended for this kind of heavyweight, multiple party patent litigation. One can further ask whether a situation in which at least one of the major participants has to go to the public to fund its patent litigation activities is the optimal way for capital markets to be brought to bear in promoting innovation in the public aggregate. need another $150M in debt? They have no debt now. metrics are all in deep negative territory. If I were a gambler I’d be shorting this stock big time! I have a TiVo and love it. It beats streaming, which has continuity problems, it lets me skip commercials (streaming forces you to view them in unskippable form), no one can stop you from recording any show and keeping it as long as you like (download options have all sorts of viewing windows) and it's "free" (i.e., I paid for a lifetime subscription, so I have no continuing expense). I think the TiVo is highly underrated. TiVo is looking on fairly firm ground in its suit against Echostar. It won on the software infringement claims and, while there is a rehearing en banc pending, none of the questions go directly to infringement (contempt is the issue). So at this point it has fairly bulletproof claims which I assume read on all DVRs. So despite the fact that it's patent litigation, it looks like a fairly solid investment. Fascinating.